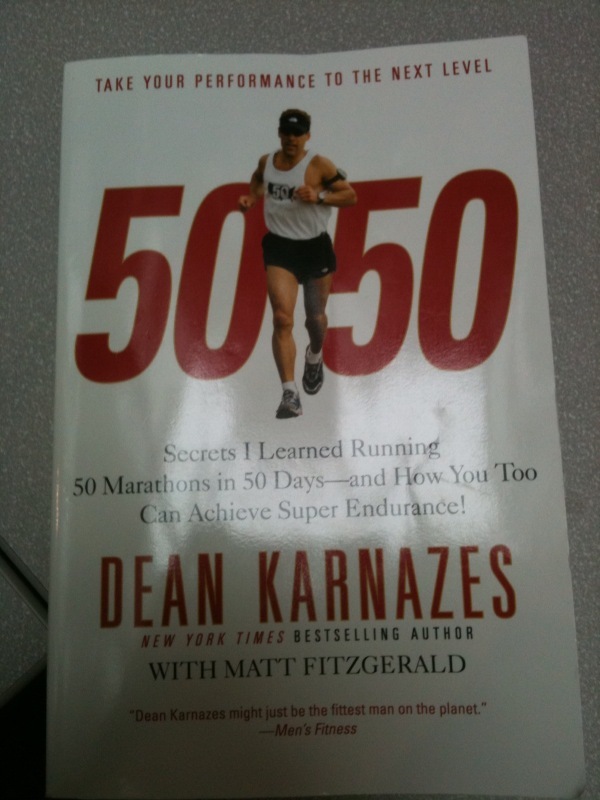 “Secrets I Learned Running 50 Marathons in 50 Days–and How You Too Can Achieve Super Endurance!” by Dean Karnazes. I loved the book! It was really inspiring and made me want to get right out there and run a marathon. What Dean did is amazing, and crazy, to me. The book had a lot of really good tips for running, motivation, recovery and injuries. I think both seasoned runners and newbies could benefit from the book. I lent the book to a co-worker who has run Hood To Coast for 8 years and she loved it too. That quote just reiterates what I previously said about there not being a magic pill. Those three things are the key to success. I particular like the “Behavior Modification” theory. I know a few people who had gastric bypass surgery to lose weight. Even at 250+ pounds, I never considered surgery an option. I’m not trying to criticize people who have had such surgeries…but seeing two friends of mine go through it, I think I can give a pretty informed opinion. The surgery helped them lose weight, yes. Both friends lost about 50 pounds and then stopped losing weight (and also gained a lot of weight back). Why? Because they did not change their behavior. They still ate the high fat, fried foods they enjoyed before the surgery. So why even have the surgery? Anyone can lose weight–it’s the keeping it off that’s really hard. It’s easy to slip back into old habits and get lazy with eating. I’ve been there. And I gained 15 pounds. Men, age 31-50 should eat 2200-3000 calories a day. Women, age 31-50 should eat 1800-2000 calories a day. In order to lose weight, you should try to eat 500 less calories a day.